Even if you’ve put a lot of time and consideration into choosing the best mountain bike money can buy, you’re not ready to hit the trails just yet. Sure, you could brave the winding trails with nothing but your bike and a sense of adventure, but what happens when things don’t go according to plan? To stay safe, prepared, and comfortable, there are a number of essential things beginners need to take on their trek. While it may seem cumbersome at first to lug all this extra gear with you, they can come in handy when you’re in a bind and miles away from home. Experienced bikers often have these essentials on hand. They can make the experience more comfortable and give you peace of mind. Here are some must-have pieces of gear for any mountain biking beginner. What’s Essential in Mountain Biking? While it may seem like a no-brainer, helmets are one of the most important pieces of gear you can have. 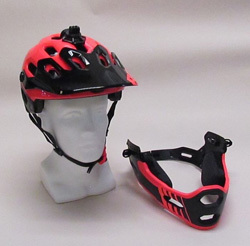 They will protect your noggin as you blaze through trails. The headgear is comprised of a tough outer shell and soft padding inside. The padding that rests against the head keeps it cushioned while creating a barrier should any debris make its way through the exterior shell. Available in a variety of different shapes and sizes, there’s no excuse not to invest in a helmet. It’s important to ensure that the helmet fits snug. A helmet will provide the best protection only if it’s properly fitted. Many models also have additional features like ventilation holes and reflectors. It’s not uncommon for guys to leave their gloves behind when they hit the trails, which often result in painful injuries. Riding gloves will provide you with a slew of benefits. 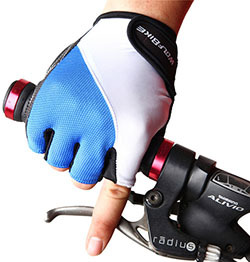 They’ll protect your hands during a wipeout with thick padding while also improving your grip on the handlebars. At high speeds, falls are very dangerous. Riders will instinctually use their hands to break their fall. Without gloves, the fingers and palms will experience abrasive damage and possibly broken bones. The best type of riding gloves will have thick padding on the palms, wrist, and fingers. They may also utilize tough materials like rubber to keep you safe. Of course, all of this is done without affecting the motions of your hands and fingers. Many novice riders don’t realize that there are many different pedal options available to them. This often leads to improper usage, which ultimately affects their performance and safety. It’s important to choose the right pedals for your needs and riding conditions. If it’s raining or wet outside, use non-slip or clipless pedals. Non-slip pedals are very similar in design to standard platform pedals but have additional features to keep riders safe. They feature raised traction pegs to ensure that your feet stay put. Clipless pedals are designed to work with specialized cleats and shoes. 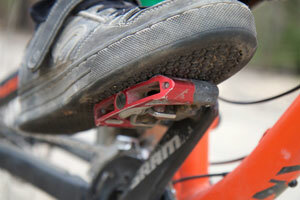 They make it possible to attach your foot directly to the pedal, making sure that you never loose the bike. Both options are suitable for wet conditions. Before riding, it’s important to consider where you’ll be riding and which pedals will be best suited for the trail. Another way to stay safe is to match your footwear with your pedals. You can’t just use everyday casual shoes and expect to have the same riding experience. Mountain biking shoes should provide you with the right amount of grip onto the pedals, protection from debris, and flexibility to achieve full foot motion. Platform pedals can be worn with a variety of different types of shoes, from thick boots to athletic footwear. However, clipless pedals only work with unique shoes that have cleats installed. 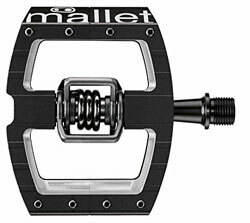 The surface of a clipless pedal is much smaller, so standard shoes will only lose grip and control. Not only that but the specially-designed shoes have the cleat in a prime position to ensure maximum power and pedal efficiency. Staying hydrated is very important on the trail. While standard water bottles do work, hydration packs are the easiest way to keep a lot of water on hand at all times. They look like standard backpacks but house a large water bladder inside. These bladders can hold 3 liters or more of water. A small hose with an easy-to-use valve makes it possible to drink water even while you’re on the bike. They’re a great hands-free option for staying hydrated. Many options also have padding and air ventilation to keep you comfortable on your ride. Beyond the importance of staying hydrated, many of these packs also contain extra storage. These pockets provide more than enough room to store all of the other essentials you’ll find on this list. Protective glasses can help you avoid potentially blinding injuries from flying debris and stray tree branches. These glasses are worn like any other pair of glasses, but most feature designs that cover the entire eye area for the most protection. A variety of different designs are available, allowing you choose the perfect pair for where you’re riding. If you plan on hitting forest trails, it’s best to stay with clear glasses. They keep your eyes protected without affecting your vision. 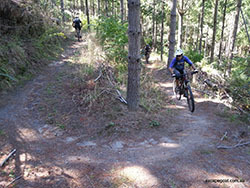 Tinted or colored sunglasses in a forest setting aren’t recommended, as they could prevent you from seeing obstacles. However, colored glasses are great for other lighting conditions. Many manufacturers feature numerous lens colors to tackle different types of lighting while others even have glasses with interchangeable lenses for the most versatility. Similar to riding gloves, shin and elbow guards are there to protect your body during a fall. They feature thick padding and a layer of tough material like polycarbonate or fiberglass. This hard material acts as the first line of defense against injury. They absorb the force of impact and spread it out, preventing fractures in some of the most vulnerable areas of your body. Like other protective gear, it’s important to get shin and elbow guards properly fitted. Shin guards fit over the entire front of the leg from the knee down to the ankle. Elbow guards simply cover the elbow without affecting it’s movement too much. Both guards typically utilize velcro and elastic bands to achieve a snug and comfortable fit. At some point, you’re going to experience a flat tire on a trail. It’s unavoidable and happens to the best riders. Instead of having to walk your bike down the trail or flag another rider down for some help, just carry a mini bike pump. These pumps are often small enough to carry in a hydration pack. However, not every pump is made the same. To avoid the frustration and pain of repeated pumps to get the right air pressure, invest in a high-quality pump with a slightly bigger volume. While smaller pumps are easier to carry, they can take a while to reach 35 psi. Even the smallest increase in volume can make things easier. Luckily, there are a number of great high-volume mini pumps available that are light and very easy to use. Mountain biking is a dangerous sport by nature. Unfortunately, some falls and injuries are simply unavoidable. In the worst case scenario, having proper identification can make it easier and faster for you to get help. You should always carry your ID with you as you ride. A variety of protective cases are available to keep the ID safe from sweat, dirt, and debris. Another essential that can be useful during an emergency is a mobile phone. Many guys ditch their phone before hitting the trails due to its added bulk. Unfortunately, this can be a life-threatening decision should an emergency occur. It’s not uncommon for bikers to fall down hills after a wipeout, experiencing serious injuries that prevent them from walking down the trail. Without a phone, fallen bikers may have to wait hours before another rider passes by. If they fell down a hill and are hidden from view, the chances of being seen decrease more. A mobile phone will make it possible for you to call for help whenever you get injured. These devices can be stored in the pocket of a hydration pack to stay out of sight. It’ll be out of the way but close enough should an emergency occur. There’s nothing worse than letting a small puncture put an end to your ride. Most mountain trails are far from smooth. Small rocks, twigs, and other sharp debris riddle the trail. While most tires are equipped to handle the stress, a puncture will occur eventually. Carrying a spare tube with you on your ride will make it possible for you to continue on. Tubes are fairly light and easy to carry. They fold up so that they take up as little room as possible. It’s important to carry at least one spare tube of the appropriate size. Should you ever experience a flat from a puncture, you can easily swap out the tubes and use your trusty mini bike pump to inflate your tire and finish the trail. 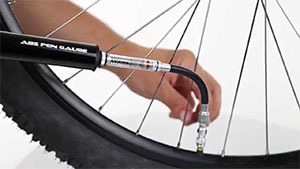 To accompany your extra tube, bring along a tire lever. Tire levers make it possible to remove a tire from the rims without any issues. Tires are held against the rim with force. While it is possible to remove tires without a lever, it’ll take you some time. Not only that but the process can be pretty painful on the hands. Tire levers are small plastic or metal wedges that can be used to pry the tire off. They wedge into the small space between the metal rim and rubber tire. It’s a must-have for any biking tire kit. Because they’re so small and compact, carrying one shouldn’t be a problem. Multi-tools have everything you need to fix your bike in a bind. Many experienced riders carry these as they ride so that they’re prepared to make any repairs that may come up. Numerous different types of tools are available. These tools are all housed in a single protective body to minimize bulk. 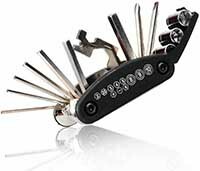 The best tools to have on a multi-tool are Allen wrenches, Philips and flathead screwdrivers, and a chain breaker. Chain breakers are an essential tool that many bikers overlook. The tool can free your bike when you’re stuck. As the name implies, it breaks the chain loop. However, the chain is broken in a way that can be fixed easily. You can use it to free yourself, fix the chain, and continue riding. It’s also good to bring along an extra link and pin just in case. A tire patch kit can help you repair issues with your tire on the trail. Patch kits can contain a bevy of accessories, including a spare tube and tire lever. However, small puncture patch kits are also available. These kits include materials to craft a temporary patch that can cover small holes in the tire. While they’re not meant to restore your tire to perfect condition, it can be used as a temporary fix to get you down the trail and back home for a full repair. The contents of a patch kit vary from manufacturer to manufacturer. Most contain a physical patch made of rubber and an adhesive to attach it. They may also have some sand paper to roughen up the edges of the patch for better adhesion and other tools to make the task easier. A specialized cleaner can keep your prized mountain bike in pristine condition. While these bikes are made to rough it through the most rugged terrains, they do need regular cleanings to stay in good working order. Failure to clean the bike can result in rusty or damaged parts that could fail mid-run, leading to a painful wipeout. Soap and water are a great option, but specially-designed bike cleaners are available for those that want to achieve a high-quality clean. They often come in handy spray bottles and have a unique formula that’s free of acids that could damage the bike. These cleaners will leave the drive train free from grime while making the rest of the bike shine like new. Minor bumps, bruises, and scrapes are very common with mountain biking. The thrilling sport can challenge even the most experienced rider, so it’s important to have a first aid kit on hand at all times. These kits will contain everything you need to treat minor injuries. They’ll include antiseptic creams, disinfectants, bandages, and much more. Treating an injury after it occurs will ensure that the problem doesn’t worsen before you can get home. Most guys don’t think to bring toilet paper of tissue with them on a ride, but the versatile material can be very useful. Aside from its obvious uses when you decide to take a short break on the trail, the soft material can be used to wipe up other fluids like blood after an accident or mud from other gear. With small compact packs available, you can bring it along without taking up much room at all. 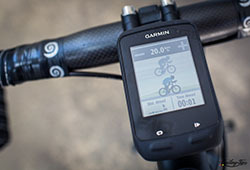 If you’re unfamiliar with a particular trail, a cycling computer or small GPS system is a necessity. These devices can be carried in a separate bag or attached to the front of the bike for easy viewing. They provide valuable information about your ride and where you are. 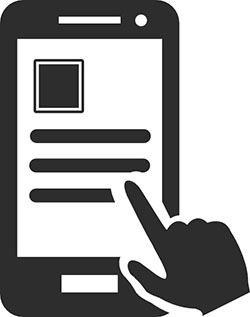 Depending on the model, it may display fitness information as well. Most importantly, however, is the GPS functionality. If you ever get lost, these devices will get you to a place you know so that you can find your bearings and make it down the trail. Many also display trail obstacles before you hit them, allowing you to plan accordingly. Mountain biking can be a very fun and thrilling sport, but it’s important to be prepared for anything. 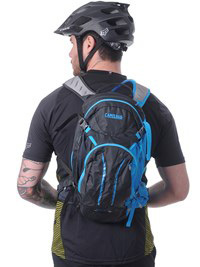 With these essential pieces of gear in tow, you can ride through any trail with confidence.